We have seen Bengali actor Prasenjit Chatterjee turned producer, actor Parambrata turned Director, actor Tota Roy Chowdhury turned producer earlier and it’s time to actor Rudranil Ghosh to become director. Bengali actor Rudranil Ghosh is coming up with his first project named ‘Shunyo’ soon. Actor turned Director Rudranil Ghosh is busy doing shooting at Kalimpong & nearby locations for his first Bengali movie Shunyo as director in January 2013. Actor-turned-Director Rudranil Ghosh is making his Directorial Debut with Shunyo Bengali film starring Kaushik Gangopadhyay, Tanushree Chanraborty, Anjan Dutta & others. A special promotional video shoot has been done with Rupam Islam for Shunyo Bengali film of Rudranil Ghosh (as Director). Apurba Saha is the producer of Shunyo Bengali cinema directed by Rudranil. Good wishes to actor Rudranil Ghosh, starting his professional life as Director, and his casts & crew for Shunyo Bengali movie. Tollywood Bengali film Ekla Akash movie story review casting director producer cast of Ekla Akash release date book buy tickets online Bengali Ekla Akash Parambrata, Parno Mitra, Ekla Akash Parambrata, Parno Mitra, Bengali movie review plot shooting location cinema halls showing Ekla Akash Kolkata Bengal show timings upcoming Bengali cinema Ekla Akash watch online details information. 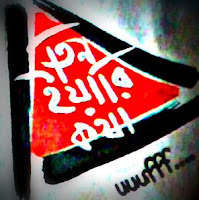 Sandipan Roy is making his Directorial Debut with the Bengali film Ekla Akash featuring Parambrata & Parno Mitra together. The most important part of upcoming Bengali movie of Parno Mitra & Parambrata Ekla Akash, Sandipan Roy's first directed film, is famous film-maker Gautam Ghosh, who will be seen acting in a crucial role. 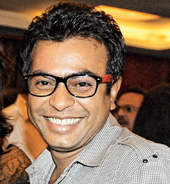 • Ekla Akash Bengali movie Director Name: - Sandipan Roy. 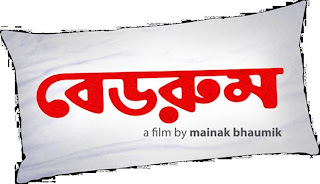 • Producer Name of Bengali film Ekla Akash: - Mangalam Group produced and Shree Venkatesh Films Pvt Ltd presented. • Ekla Akash Bengali movie Music Director Name: - Jeet Ganguly, who has composed these songs of Ekla Akash Bengali film - 'Ekla Akash (Male version)' song sung by Sandipan Roy, 'Chai Udaan' song sung by Jeet Ganguly, 'Naina' song sung by Ustad Rashid Khan, 'Diwani' song sung by Sunidhi Chauhan and 'Ekla Akash (Female version)' song sung by Shreya Ghoshal. • Lyricist name of Ekla Akash Bengali Film: - Sandipan Roy. • Ekla Akash Bengali film Casts Actors Actresses: - Parno Mitra [Nisha], Parambrata Chatterjee [Arijit], Debolena Dutta [Tanuka], Gautam Ghosh [Satyabrato Roy], Rudranil Ghosh & many others. • Ekla Akash Bengali movie Release Date: - 5th October 2012. • Ekla Akash Bengali movie Story Review: - Actor Parambrata Chatterjee is playing the role of 'Arijit', who is the husband of Parno Mitra in the movie Ekla Akash. Actress Parno Mitra is playing the role of 'Nisha', who is the wife of Parambrata & Mother of a kid. Popular film director Gautam Ghosh is playing a role of 'Satyabrato', who is a professor. Actress Deblina Dutta is playing a notable role of 'Tanuka' in the film Ekla Akash. As per the requirement to portray the character actress Parno Mitra has gained 7Kgs. The storyline of Bengali film Ekla Akash is based on family drama and shows why a person started feeling along in spite of having family. • Cinema Halls showing Ekla Akash Bengali movie: - Priya, Metro, Prachi (noon show), Jaya Cinema Hall (Lake Town / Barasat City Mall), Purabi, Darpana, Mahua (Garia), Malancha (Tollygunje), Ashoka (Behala), Ajanta (Behala), Inox (Gorum, City Centre, Swabhumi, Rajarhat, Liluah, Burdwan, Durgapur, Siliguri - 1 & 2), FAME (South City, Hiland Park, Hind), Cinemax (Manisquare, Siliguri), Big Cinema (Salt Lake), HDIL Broadway (Salt Lake), PVR Avani Mall (Howrah), Bioscope (Rajarhat, Durgapur), London Parish (Ballygunge Kolkata), Jayanti (Barrackpore), Eylex (Asansol), Chayabani (Barasat), Kairi (Chinsurah), Sankriti Metro (Burdwan) and many more. New Bengali movie / Tollywood film Ekla Akash of Parambrata, Parno Mitra seems to be worth watching in Cinema Hall; so start buy tickets online of Ekla Akash from www.bookmyshow.com website. Upcoming new Tollywood Bengali film Tin Yaari Katha movie story review castings director producer actors actresses Tin Yaari Katha release dates book buy tickets watch online Bengali Tin Yaari Katha Parambrata-Rudranil-June. Photos pictures wallpapers download mp3 songs Tin Yaari Katha Parambrata-Rudranil-June. New Bengali movie review plot shooting location cinema halls showing Tin Yaari Katha kolkata hooghly howrah Bengal show timings upcoming hit Bengali cinema Tin Yaari Katha details information. Sahara Motion Pictures presents Tin Yaari Katha Bengali Cinema featuring Parambrata, Rudranil & Sujan. This movie Tin Yaari Katha made in the year 2006 but not released at that time because of the story. Yes, as per the source, the story of Tin Yaari Katha Movie mightn’t be successful in 2006, but the time has changed over the years and now viewers are watching films with different stories. 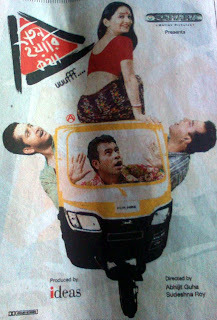 This is why, 2006 Bengali movie Tin Yaari Katha, at last going to release on May 2012. This is not the only reason of delay release, Sensor Board was also asked for few changes because of few Slang Languages used in Tin Yaari Katha Bengali Movie which was a story of three young friends. • Tin Yaari Katha Bengali movie Director Name: - Abhijit Guha and Sudeshna Roy. • Tin Yaari Katha Bengali movie Producer name: - Ideaz Production of Prasenjit & Arpita Chatterjee. • Tin Yaari Katha Bengali film Casts Actors Actresses: - Rudranil Ghosh, Parambrata Chatterjee, Sujan Mukherjee, June Maliya, Saswata Chatterjee, and others. 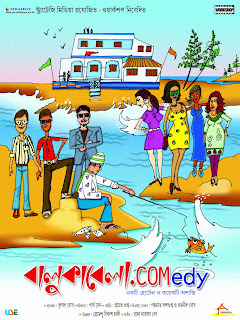 • Tin Yaari Katha Bengali movie Release Date: - 4th May 2012. • Tin Yaari Katha Bengali movie Story Review: - The Story of Tin Yaari Bengali Cinema is based on three young friends Rudranil, Parambrata & Sujan. A film where every teenager & young people would find their own characteristics and could somehow relate himself. Since, it’s a film based on three friends thus few slangs were used to make it more perfect. 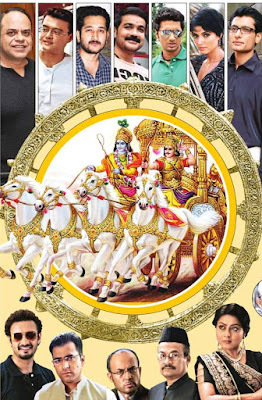 Tollywood film Tin Yaari Katha of Parambrata-Rudranil-June & Others., upcoming new Bengali movie, seems to be worth watching in Cinema Halls; so start buy tickets online of Tin Yaari Katha from www.bookmyshow.com website.